The FIRE VESSEL contemporary gas fire design is supplied as a complete package including gas fire vessel, remote control, enclosure and fascia. 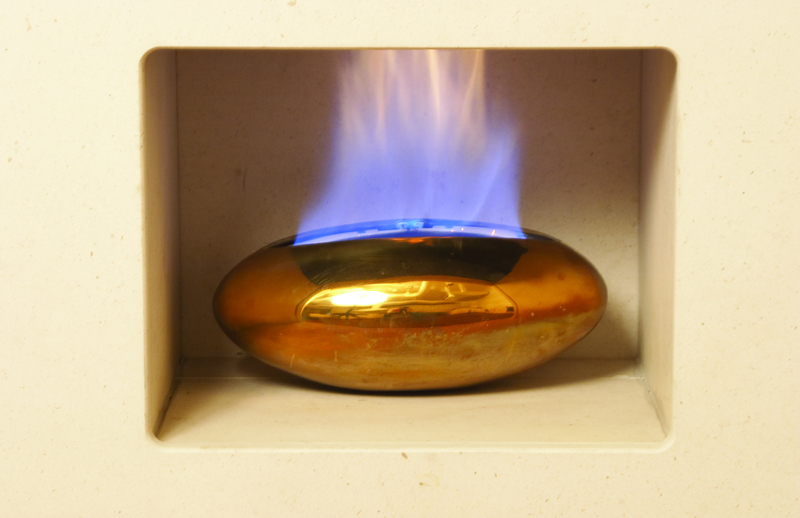 The vessel is manufactured from cast metal and is available in either bronze or aluminium. 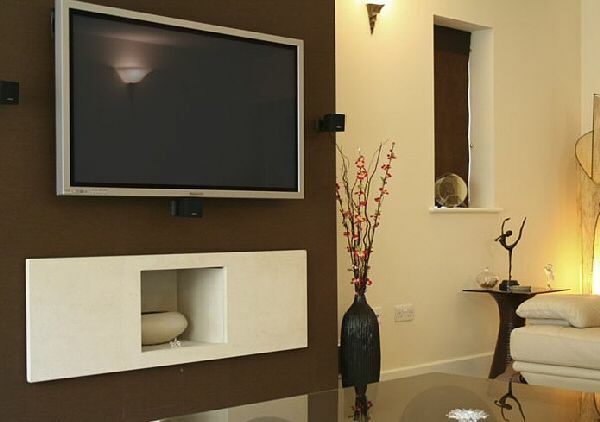 There are a wide choice of natural stone types available for the enclosure and fascia. 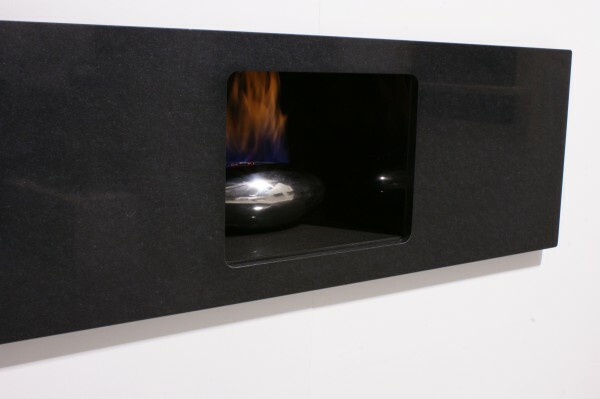 Gas Fire Vessel: This contemporary gas fire design is supplied as a complete package including gas fire vessel, remote control, enclosure and fascia. 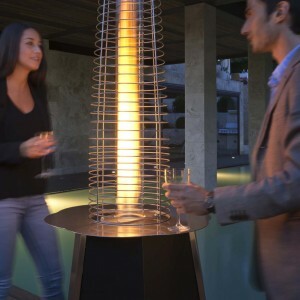 The vessel is manufactured from sand cast metal and is available in bronze or aluminium. 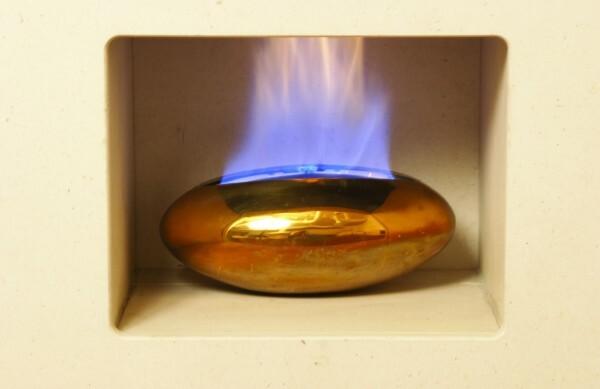 The polishing process can take up to 2 days at the factory and creates a fireplace of stunning beauty and quality. There are choices of natural stone for the enclosure and fascia. It is possible to mix the stone to create a unique look. 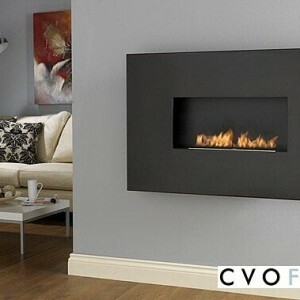 The Gas Fire Vessel is CE approved for Natural Gas or LPG and is available to ship across Europe. 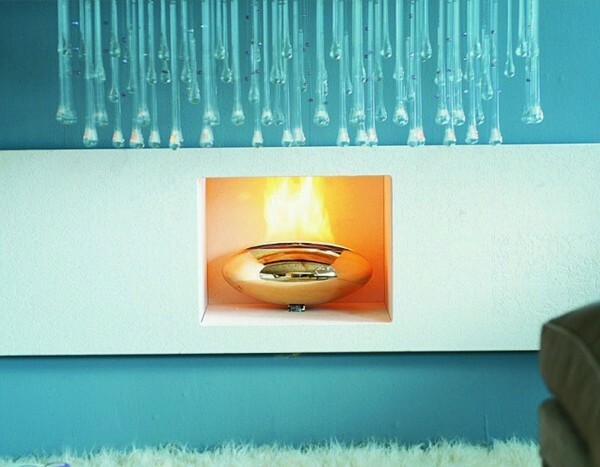 The fire is operated by a remote control system with handset. The remote system requires a 240v power supply. 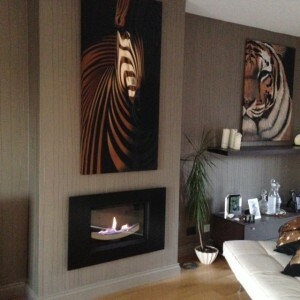 The fire will work with any class1, class 2 chimney or a 125mm flue liner. Please read the technical specification. Fascia: Choose from African Black Granite, Limestone, Unfilled Travertine or Rigel. Enclosure & Shelf: Choose from African Black Granite, Limestone, Unfilled Travertine or Rigel. Gather: The gather is specially designed to link the enclosure to a flue liner and has a 125mm spigot. 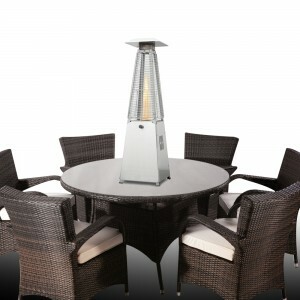 We strongly advise buying the gather even if the fire is to be fitted into a brick built chimney. The gather will prevent debris falling into the opening from the chimney, stabilise the flame and maximise the efficiency. Power Supply: The fire has a 240v mains supply.